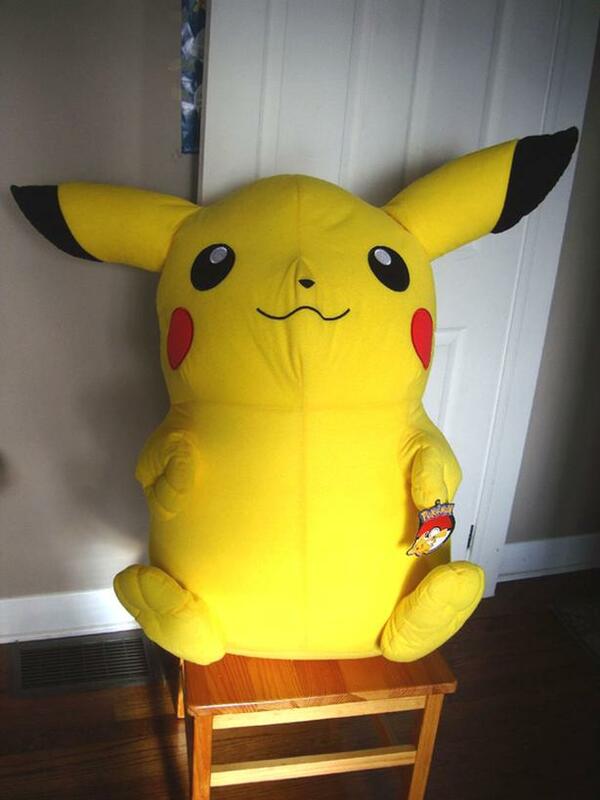 I have a 42" Giant Large Pikachu Pokemon Stuffed Plush Doll Toy Licensed by Nintendo for sale! This is in excellent condition and would look great in your home or to give as a gift. * Dimensions: The actual measurement from the middle of the top of Pikachu's head to the middle of his bum is approximately 42" inches (106.68 cm).